A brand new look for the Air Yeezy 2. The Nike Air Yeezy 2 already exists in purple, but that didn't stop sneaker customizer The Remade from crafting this premium version. 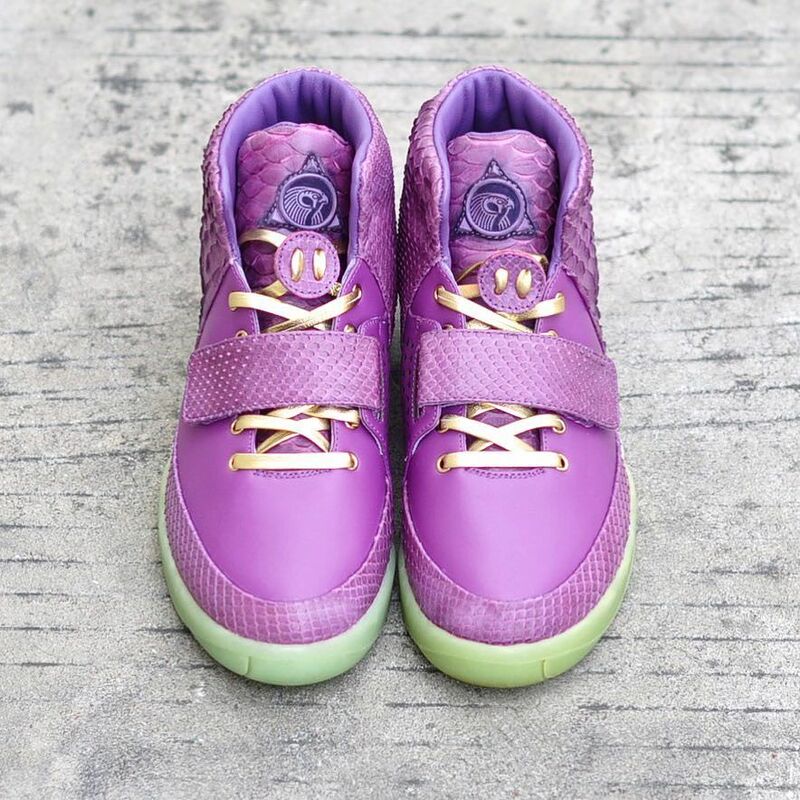 This Lakers-inspired reconstruction sees the Air Yeezy 2 reinterpreted in purple python, calf and lamb skin. Gold eyelets and a set of gold leather laces emphasizes the luxury aesthetic. The Remade hasn't made this pair available to purchase yet, but you can shop existing pairs and make your own inquiries through theremade.com.